We're on time, every time. 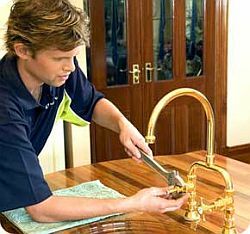 Schultz Plumbing is an established company that offers every kind of plumbing and water services for homes and businesses in Melbourne's north and north eastern suburbs. 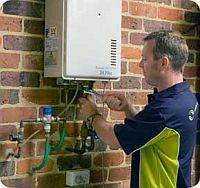 From Heidelberg to Eltham, Doncaster to Greensborough and Balwyn to Bundoora, Schultz Plumbing are the "professionals around the corner" for all areas in the Yarra Valley region of Victoria. At Schultz Plumbing, nothing is more important to us than honouring our commitment to professionalism. Our Customer Response Team keeps track of our workforce at all times - so you can be sure we'll be there when we say we will, every time. 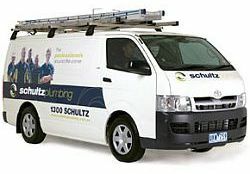 Schultz Plumbing offers 24 hour Immediate Responsive Service, 7 days a week, 365 days a year. We offer Emergency Services for homes and business. At Schultz Plumbing, our customers' satisfaction is our #1 priority. That's why we find our customers keep coming back for all their plumbing needs: repair, maintenance, emergencies and solutions for saving water, to name just a few. To be recognised by all our customers as an excellent provider of plumbing services. To provide our clients with complete satisfaction when delivering our services. 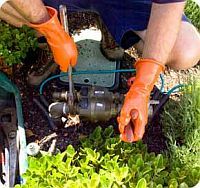 Schultz Plumbing is a local business that provides a professional, prompt and reliable service. That is at the heart of our business. 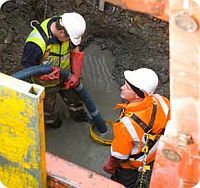 Along with our key services provided, we ensure our staff turn around quotes quickly and show up for your job at the scheduled time. Call us now. There's a professional just around the corner!